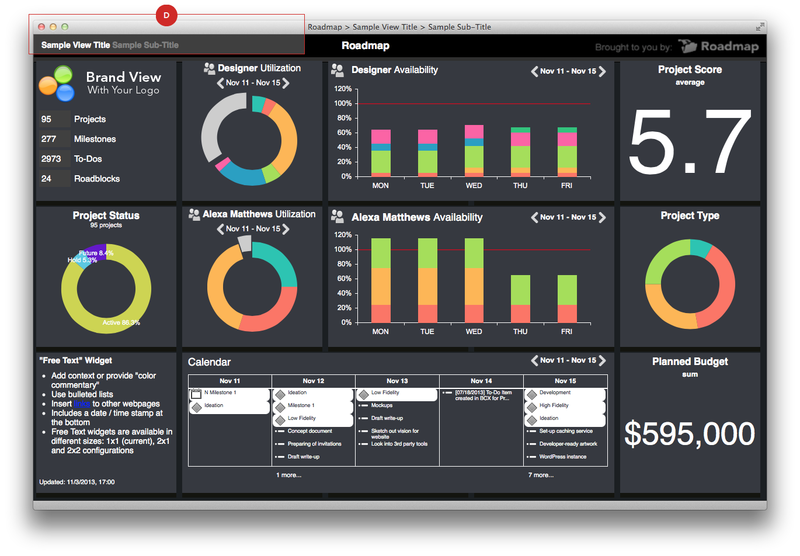 Shared Dashboard views are a convenient way to give non-Roadmap users access to targeted, real-time data. 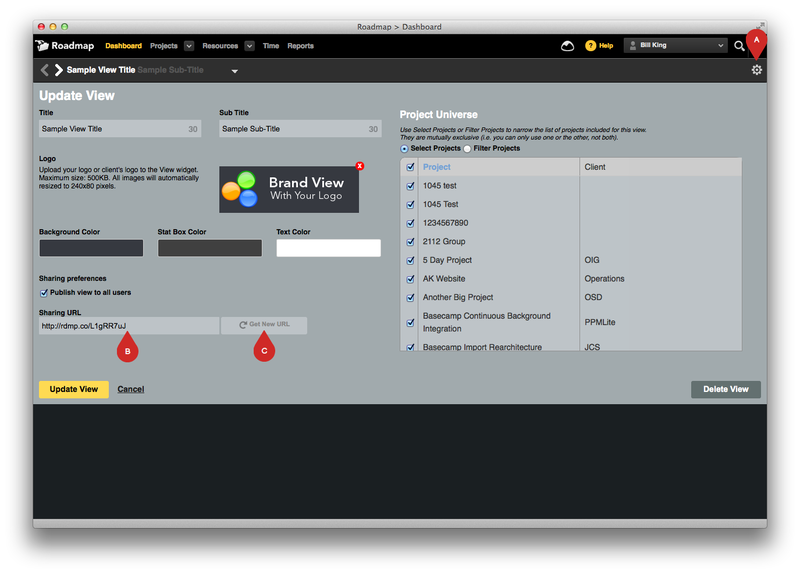 For example, create a different view for each client (filter by client name in project universe) and then share the URL. Clients do not need a Roadmap login, nor can they navigate to other app pages.